updateable machines would just no longer be usable in sanctioned tournaments. 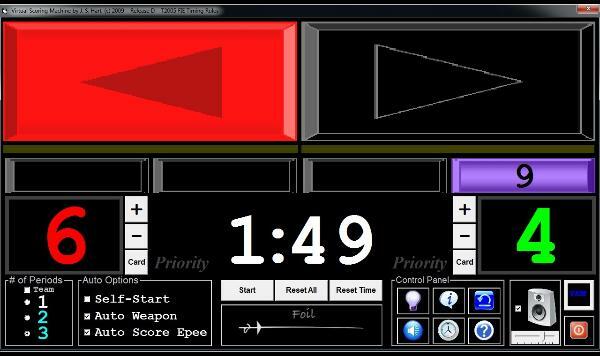 program do most of the work of emulating a scoring machine. grade product. The result is now VSM 2.0. It is 100% FIE compliant. Use any sound for any fencing event. Add your own wave files. to the VSM Custom Remote. And now, any Android phone or tablet with WiFi. External add-on repeater light displays are available. rule" fencing derivative games useful for fun and training.